My best Wyoming whitetail to date. Taken Nov 1, afternoon hunt, 20 yards. Nortern Mist Baraga, 55#, cedar shaft, and Magnus vented two blade. What's the wood on the belly of your bow? congrats thats a dandy for sure. I bought the bow used so I'm not positive, but it looks like curly maple. Good looking sucker, anyhow. 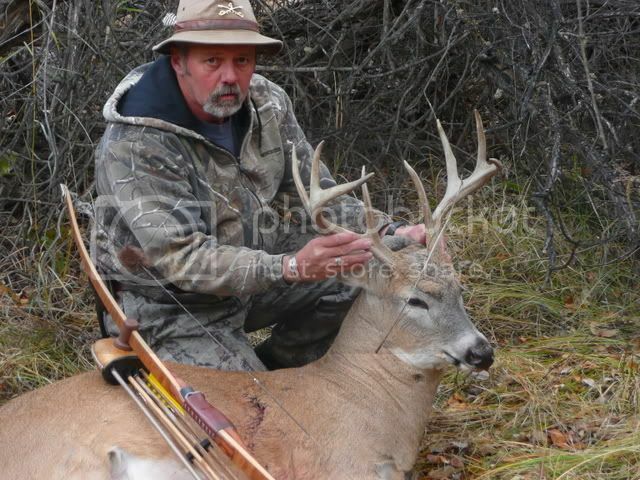 nice buck, looks like piney creek. I hunt there and the vegitation is exactly the same. Good Job!!! 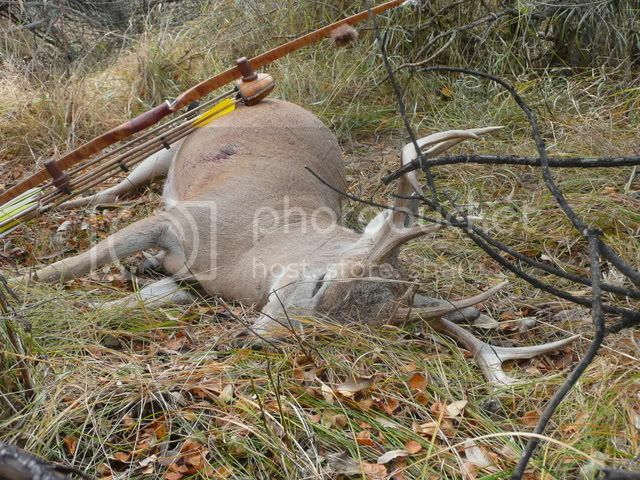 Nice work Pat, man...had I known I sent that much mojo with the bow I'd have charged more! Yup the wood is curly maple, I believe it's #1 quality so it has alot of figure in it! It isn't Piney Cr. but it is pretty close. A friend of mine took a really big 5 point off Piney Cr. earlier this year; probably about 145". Lots of deer, and a few big ones. Very nice buck! Well done!